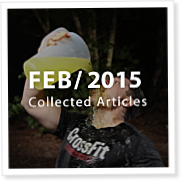 The individual PDF articles published in February 2015 are collected here in a single download. 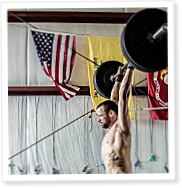 On Episode 370 of CrossFit Radio, host Justin Judkins interviewed CrossFit South Bend owner Brandon Wilton. This episode was webcast on Feb. 25, 2015. 2:03 In honor of this year’s edition of the CrossFit Games Open, Judkins played a clip from a presentation by Jason Khalipa. 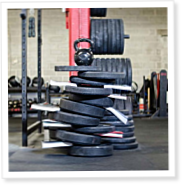 In “Building Your Engine,” the perennial CrossFit Games athlete spoke about changes he’s made to his fitness in order to perform better in competition. In 1998, Dr. Dale Benjamin Speedy stood in front of Ironman competitors in Auckland, New Zealand, and prepared to make an announcement he knew was going to be unpopular: He told the athletes he was reducing the number of hydration stations throughout the race, which was made up of a 2.4-mile swim, 112-mile bicycle ride and 26.2-mile run. 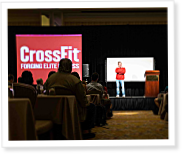 It’s next to impossible to find a CrossFit coach who hasn’t encountered this problem: the client who can’t supply a coach with a single number. 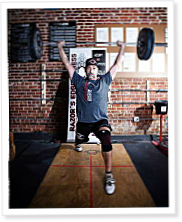 On Episode 369 of CrossFit Radio, host Justin Judkins interviewed Gil Petruska, owner of Razor’s Edge Fitness in Pensacola, Florida. This episode was webcast on Feb. 18, 2015.